It was a slightly slower day at my Sunday brunch at the Mecano bar yesterday as we were right in the middle of the French school holidays and lots of people were out of town. But it turned into a monumentally memorable brunch as we suddenly had a special guest appear to play a couple of songs: Johnny Borrell, the lead singer of the British band, Razorlight. Razorlight is in town to play a couple of gigs at the Fleche d’Or, tonight and tomorrow, if I understand correctly. And it turns out that, as regular readers of this blog will know, that Borrell is a friend of Earle Holmes, the man responsible for setting me up with this brunch in the first place. So Borrell dropped by to say hello to Earle and his wife, Eve. Borrell had actually played at Earle’s open mic at the Shebeen a few years ago, and so here he was yesterday at the brunch, and there was the mic, there was the guitar, and there went big-hearted Johnny to play a couple of tunes – an old one and a new one. 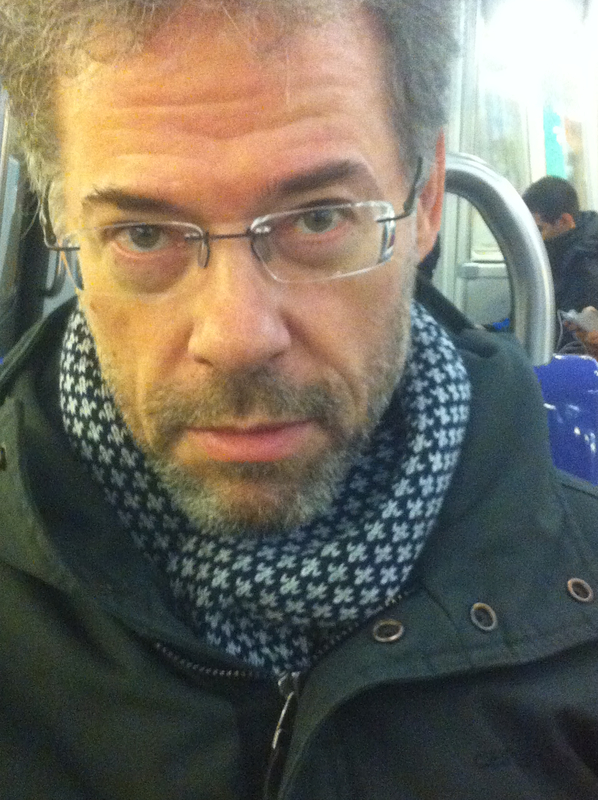 Oh, as you will see in the videos, Borrell has changed his look somewhat – growing whiskers here and there. It was not evident that this was the same man I had seen play at the Sziget festival in Budapest in 2007. Not evident, that is, until he started playing his music and singing, and then the voice was unmistakably that of the man who sang so many of the songs I like, (my own favorite being “America,” which hit No. 1 in the UK a few years ago). It was very cool. I don’t know if the whiskers will stay there for the concerts at the Fleche d’Or, but you can perhaps try to check that out if you happen to be in Paris – and if there are any tickets left…. I learned from him that he had been present at the Monaco Grand Prix last May, as a guest of the Red Bull team. So I might have run into not only Mick Jagger on the starting grid at that race, but also Johnny Borrell – had I been able to recognize him!